Humans are wired for stories--it's how we communicate. Read on for tips on translating your why and your vision into a storytelling style that's believable and that converts. Memorable brands start with personality. And that personality, if the right one, attracts your ideal customer to you. Want to know if your brand’s personality is helping or hurting you? Start with the twelve common archetypes. What makes archetypes so attractive? Archetypes mirror worldviews. Which means all of us can relate to them. And that means there’s always one archetype (or a couple) that we see ourselves in. On the flip side, there’s at least one archetype that’s the exact opposite of who we are. Match your brand archetype with your ideal customer’s worldview and raving fans can result. Archetypes fall along two axes: risk versus stability and belonging versus independence. Champion: brings meaning to what they do, using courage and discipline. Your brand gets things done in an effective manner. You’re known for delivering on your promises, going above and beyond. Magician: transforms ideas into breakthrough innovations or changes something or someone in some way. You’re known for promising miracles and making dreams come true. Revolutionary: doesn’t like the world as it is and wants to change it. Your brand aims to liberate yourself or others from repression and break free of the prevailing dominant culture. You’re known for throwing aside societal norms. Creator: has a highly developed sense of aesthetics. You seek to give form to a vision and transform reality. You want your work to be exceptional and enduring across time and place. Leader: provides order and structure for an effective society. You’re known for being the leader in your industry. Your products are superios to your competition, the best, the biggest, and the most popular. Nurturer: seeks to help others and does so with compassion and generosity. You create a perception of unselfishness and open-heartedness, building reassurance and trust. Colleague: wants to belong, fit in. You build communities for your customers, bringing them together to achieve a common goal. You take pride in seeing your products used in everyday life and in your customers’ homes. Lover: promises the bliss of true love. You make people feel special and appreciated. You’re known for connecting people and helping them create the best version of themselves to attract others to them. Jester: wants to enjoy life as it is, and will use laughter to lighten up the world. You help customers have a good time and embrace a fun-loving, freewheeling culture. Explorer: seeks something that will improve your life. You’re always on a mission to find a better, more exciting world. Your brand is known for adventure, discovery, and exploration. Advisor: desires to find truth with a goal of getting a better understanding of the world around them. Your brand journeys far in search of knowledge, seeking truth and enlightenment. You’re perceived as wise and knowledgeable. Dreamer: sees the potential for sacred beauty in all things or seeks safety. You make life simple and value ethics. Your brand is traditional and rarely changes. 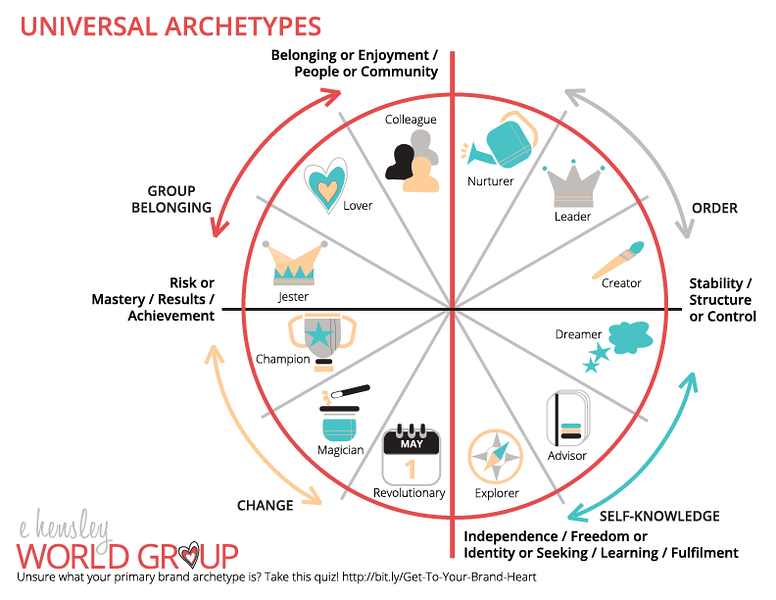 What’s your brand archetype? Does it match the worldview of your ideal customer? 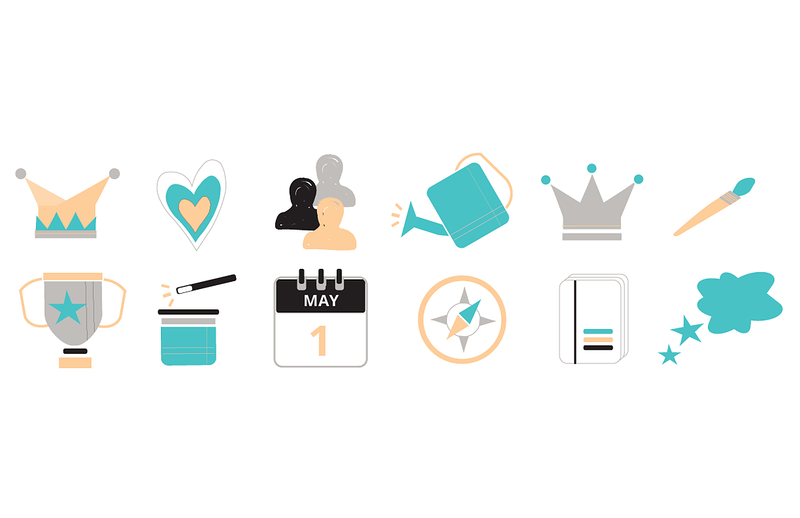 Learn more about the twelve common archetypes and how to use them in your branding. Sign up for a 3-day Email Series. You’ll learn discover your brand archetype and get guidelines for matching your branding to your archetype. “Using Archetypes in Branding.” Archetypes in Branding. http://www.archetypesinbranding.com/archetypeiq/. Site accessed 6/26/2018. We all have stories to tell. We all have extraordinary lives--even if we don't yet recognize it. Want help sharing your story? Want to connect with your audience and build a thriving community? I can help. My recommendations will honor your why, respect your budget and your available time, and establish benchmarks for evaluating results. Learn how we can work together today. Tired of going it alone? Being a business owner--an entrepreneur--is tough! Join my community of entrepreneurs and receive bi-weekly letters to your inbox with down-to-earth advice you can put into practice without a huge budget or a large team.